Posted on December 10, 2015 - Get free updates of new posts here. 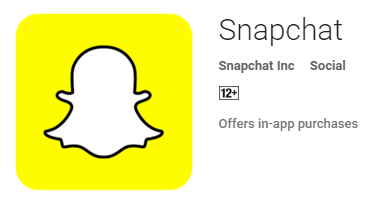 With over 100 million daily users worldwide, it’s safe to say that Snapchat is here to stay. Since its launch in 2011, the popular photo and video sharing platform has overcome initial moral panics that labeled it a “sexting” app, and cemented its presence among the most used social networks. After a slower uptake, brands are now flocking to Snapchat in droves, seeking new ways to reach the elusive ‘Millennial’ audience who dominate its userbase. But tapping into that rich source of content isn’t always easy, given the constraints of the platform itself, and a general lack of comprehensive industry knowledge about best-practice. 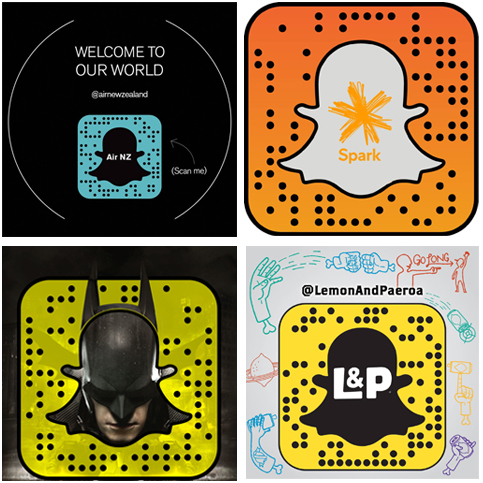 Get yourself a Snapcode, and share it across other media channels. Give people a simple, tangible reason to follow the account. Make your content feel native to the platform. Some brands struggle to adapt their Art and Copy style to the ‘underproduced’ aesthetic that’s part of Snapchat’s charm. It’s often a compromise between maintaining your brand’s look-and-feel, and creating content that doesn’t feel out of place on the platform itself. Adding emoji, overlaying filters, and employing that ‘handdrawn’ style can go a long way toward making your artwork look the part, and keeping text to the absolute minimum of characters in a clear typeface will reduce the chances of your message getting lost. Think of your Snapchat as a place for your brand to express its ‘inner child’ – have fun, get creative, and try not to overthink it. Keep your stories short, your content consistent, and limit your posts to a few per week. Think about your audience: they’re likely time-poor, information-saturated, digital natives who want entertainment to-go. They’re on Snapchat to dine on the buffet of appetizing content, and they’ll quickly lose interest if your channel is force-feeding them too much ‘filler’. There are no hard and fast rules for how much or how often to post, but generally speaking, 3-4 times a week is a good number to start with. The best way to figure out if you’re getting it right is to look at how your content is performing. Comparing your story views, tracking periods of increased activity, and asking your followers for feedback are all useful methods of discovery. Repost user generated content and convert engagement to advocacy. Every day, users share over 400 million Snaps, making Snapchat one of the easiest places to gather large volumes of creative and positively reinforcing content for your brand. But, similarly to the old adage of a tree falling in the woods, if you’re not re-posting received content, does it really exist? In order for all that UGC to have real value for your brand, it is absolutely essential to share it with a wider audience. Add follower Snaps to your story, share especially creative ones across your social channels, or integrate them with other media types like TV or web. These integrations can take a little more planning and often require flexibility in content scheduling, but the results are worth it. Once you’ve mastered the above best practice tactics, test and learn new techniques rapidly and get creative! If you need a little help getting your business started on Snapchat feel free to contact our team on [email protected] or head to our website for scalable Snapchat solutions that help brands win. Thomas Harding is the co-founder and CEO of Mish Guru, a Snapchat focused marketing agency (an ex-resident of digital businesses accelerator, Lightning Lab). Thomas and his team help businesses understand, develop and execute marketing strategies using Snapchat, and ensure a measurable ROI.